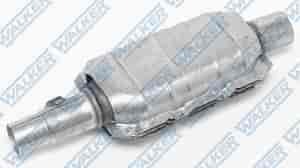 Walker Direct-Fit Catalytic Converters offer OE style and fit. They include gaskets when applicable, hangers, flanges, and brackets for a bolt-on installation. Designed for installers and repair shops that require quick turnaround. Click More Info with part numbers below for applications. Does Dynomax 15820 fit your vehicle?